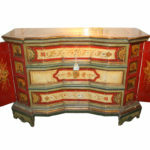 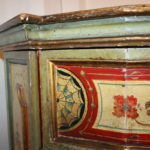 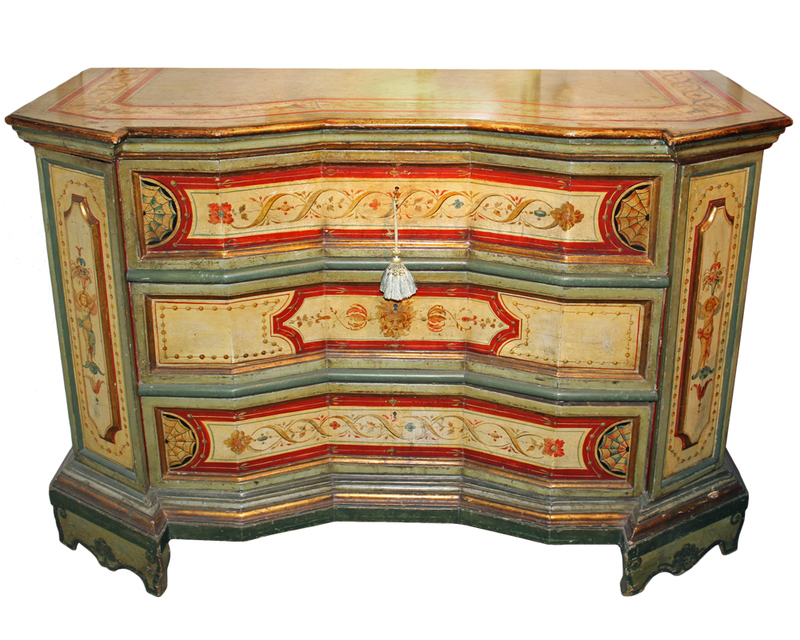 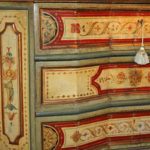 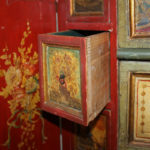 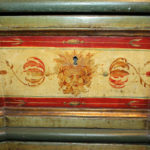 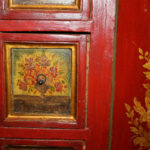 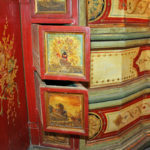 A Pristine 18th Century Venetian Polychrome Concave Block Front Commode Credenza No. 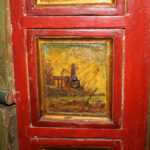 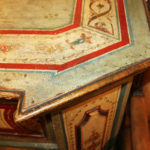 2437 - C. Mariani Antiques, Restoration & Custom, San Francisco, CA. 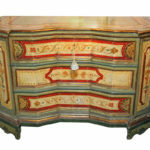 Height: 38 1/2"; Width: 58"; Depth: 25 1/2"